Okay, maybe not all of us...but a good number. 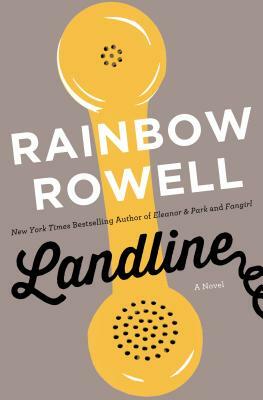 Perhaps you've heard of Rainbow Rowell. 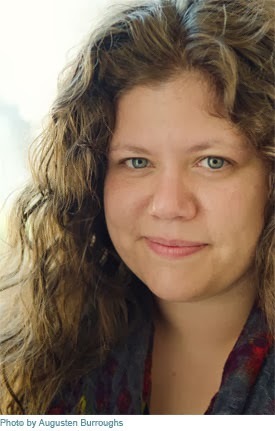 She's the amazingly talented author of the amazingly good Eleanor and Park. And here's a secret, all of her other stuff is just as amazingly good. 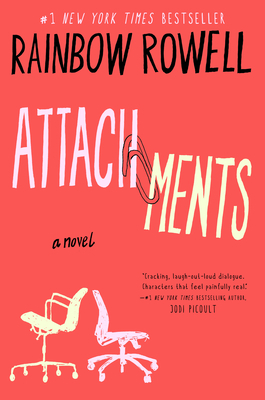 While she might be best known for her young adult novels, Rowell dabbles in adult fiction as well. In fact, I was lucky enough to get my hands on her new adult novel coming out this July. It's great. I devoured it in two sittings. Seriously, you must put it on your summer reading list. 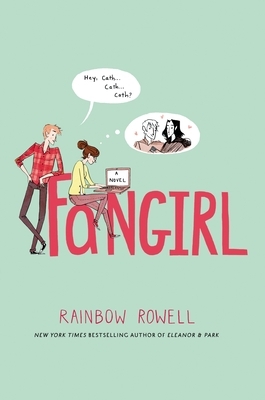 Weirdly, I hadn't even heard of Rainbow Rowell until last fall, when her new book, Fangirl caught my eye. I finally got around to reading it in January, and I loved it. Then all of a sudden, I had read everything she's written. I couldn't help myself. She's great. Like, really, really great. She also has a really great website with tons of extra stuff about her novels and upcoming projects. One of those projects is a graphic novel. YAY!!!!!! There's playlists, and fan art, and blog posts. Really, it's a great website. Seriously, I can't say great enough. To say this book was amazing or that I loved it just feels inadequate. I listened to the audio book and spent whole trips in the car from West Seattle to work crying. Other days I cracked up all the way. When I was done with the audio I bought the book and started reading. I wasn't ready to be done. The story is incredibly real and raw. 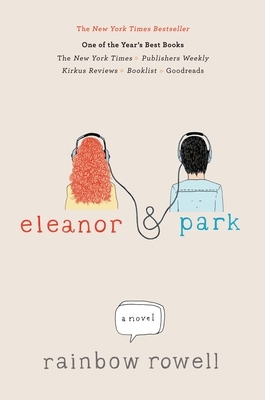 Eleanor and Park are both complicated, interesting and wonderful. But the real reason this book has become a part of me and why I haven't fallen in love with a book like this in years is kindness. It permeates every part of their relationship, gives me hope and causes me to try harder in my own life. It's impossible to describe what this novel meant to me, personally, so forget it. Instead, here's why YOU should read it. You get not one, but TWO novels woven together - as you're reading the story of awkward but lovable identical twin Cath, off to her first year of college, you're also reading the epic seven-novel adventure of boy hero and magician "Simon Snow," (if he seems strangely familiar ... well, that's deliberate! and actually quite clever). Rowell breathes magic into ordinary people and places and events. There is something for everyone in her novels and, although Cath may be eighteen, her story speaks to anyone who has been a teenager (so every adult out there), reminding us of taking those first steps away from home and what it felt like to encounter that feeling: Now what do I do with the rest of my life? Rainbow Rowell has done something magical. She's written a delightful book for young adults that will charm and captivate regular old adults too. A love story; an honest look at mental health; family drama; loyal friendships; and nerdy, Harry Potter-esque fanfiction all wrapped up in the exciting, heady first days of college. Rowell pulls all of it off in this one perfect novel. It's a marvel of a balancing act that many "masters" of adult fiction couldn't do. Smart, funny, sweet, and dizzingly romantic. The love story alone will have your stomach flip-flopping with memories of your own first love. These characters leap off the page and I desperately wish that they were real. That's how lovely they are. She writes them with a kindness and genuineness that never wavers into sentimentality. All of her books are wonderful, but Fangirl is my favorite. I know a lot of you hesitate to read young adult fiction, but when something this good comes along, it's time to challenge your biases and open yourself up to something inspiring and wonderful. Meanwhile, Lincoln O'Neill can't believe this is his job now- reading other people's e-mail. When he applied to be "internet security officer," he pictured himself building firewalls and crushing hackers- not writing up a report every time a sports reporter forwards a dirty joke. When Lincoln comes across Beth's and Jennifer's messages, he knows he should turn them in. But he can't help being entertained-and captivated-by their stories. By the time Lincoln realizes he's falling for Beth, it's way too late to introduce himself. What would he say . . . ? Georgie McCool knows her marriage is in trouble. That it’s been in trouble for a long time. She still loves her husband, Neal, and Neal still loves her, deeply — but that almost seems besides the point now. Maybe that was always besides the point. Two days before they’re supposed to visit Neal’s family in Omaha for Christmas, Georgie tells Neal that she can’t go. She’s a TV writer, and something’s come up on her show; she has to stay in Los Angeles. She knows that Neal will be upset with her — Neal is always a little upset with Georgie — but she doesn’t expect to him to pack up the kids and go home without her. When her husband and the kids leave for the airport, Georgie wonders if she’s finally done it. If she’s ruined everything. That night, Georgie discovers a way to communicate with Neal in the past. It’s not time travel, not exactly, but she feels like she’s been given an opportunity to fix her marriage before it starts . . . Is that what she’s supposed to do? Or would Georgie and Neal be better off if their marriage never happened?